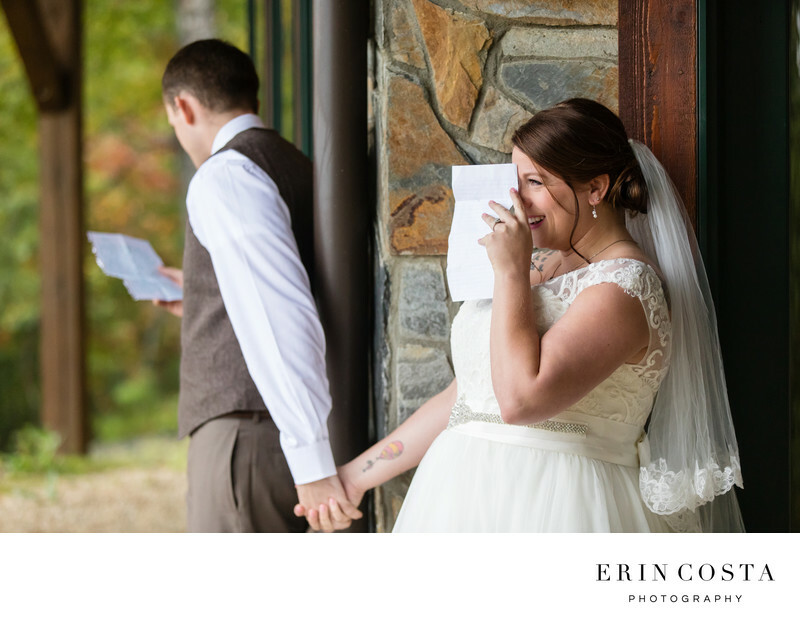 Amy and Josh opted to not see each other before their wedding ceremony at Leatherwood Mountains Resort, and instead chose to exchange letters around the corner from one another. I just adore Amy's reaction to reading Josh's words to her. Location: 512 Meadow Rd, Ferguson, NC 28624.